The end of the growing season is near, and for cattle producers in Ohio, that means the beginning of the season that challenges the profitability of a cow/calf operation more than any other aspect. That’s right, feeding a cow through the winter is the number one cost of production, and the days of $2.50 and higher feeder calves that made it pretty easy to pay the winter feed bill are a fond but distant memory. The difference between the producer that has had and will have continued success in a slightly different economic climate and the ones who have and will struggle, will come down to management. Not just marketing management, but input management, or in other words, feed and nutrition. 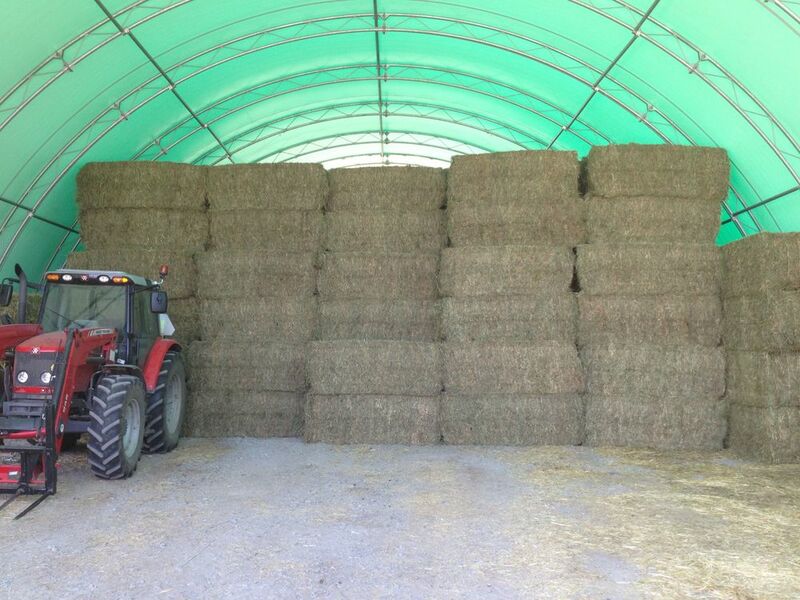 There are lots of different methods of storing hay between the time it’s harvested, and fed. Feed alternatives allowed by a corn, soybean & wheat rotation that includes cows! In 2013, 35.5 million metric tons of distillers grains was produced as coproducts of the fuel ethanol industry, and beef cattle account for almost half of distillers grains consumption. Feeding distillers grains to cattle can increase Polyunsaturated fatty acids concentration, increase lipid oxidation, and decrease color stability of beef. Having grown up in the beef cattle business I realize this is the time of the year in which most of the spring born calves have traditionally been weaned and sent to market. 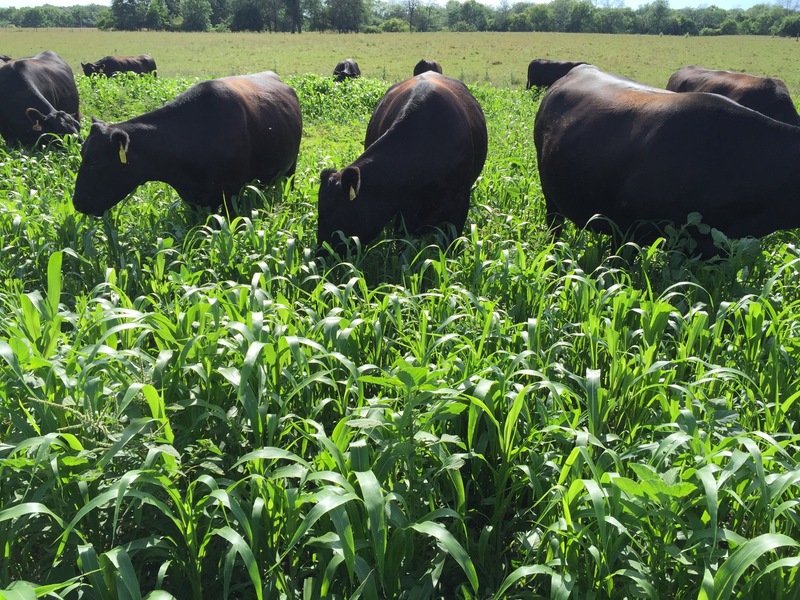 Here in Northwestern Ohio where pasture comes at a premium and preserved forage is fed for a large part of the year, it may be time to consider reevaluating weaning age, in order to increase potential gains within the cow calf system. As I write this in early October parts of Indiana still remain dry with an intensity rating of abnormally dry to moderate drought. It’s certainly been drier in the past, especially thinking back to 2012, but we could benefit from some rain. 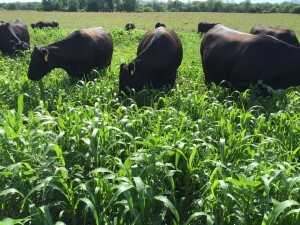 Forage regrowth has slowed down and opportunities for fall annuals remains challenging. I planted some annuals; they emerged but would greatly benefit from some precipitation in order to meet their purpose. If we get some rain, along with enough warm days for good growth, they may still provide some forage for grazing.